On many fronts, the Google Pixel 3 feels like a top-class device. Everything from the high-resolution display to the frosted glass back which feels silky in your hand, to the unbeatable camera — each element vouches for the flagship status of the Pixel 3 devices. There another feature which appeals to your primary senses — the haptic feedback. The haptic feedback on the Pixel 3 XL is simply amazing and better than I’ve had on any other phone or tablet, at least on Android. The credit for this refined experience goes to the new vibration motor and haptic feedback engine used in the two new phones, which greatly elevates the touch interaction experience. Up until now, we’d seen iPhones rule the field when it comes to haptic feedback – which will be clear to anyone who has pressed the Home button on the iPhone 7 or 8. The vibration on these premium smartphones does not feel intrusive, let alone rumbling – it is musical and delightful. It’s hard to convey in words the real feeling you get when you hold the Pixel 3 XL in the hand and touch that display — this is how all premium phones should feel and the minimal aesthetic of the phone only enhances this feeling. The vibration from your touches feels better timed and it seems to have the perfect intensity. While I usually prefer to turn off the haptic feedback on most Android devices because of how obtrusive it can feel — almost like the phone is getting back at me by hitting my thumbs back with tiny battering rams — I have been enjoying keeping it on in the Pixel 3 XL. Typing on the Pixel 3 XL feels like the phone is singing to your thumbs. Typing on the Pixel 3 XL feels like the phone is singing to your thumbs. If you haven’t already fallen for the camera (check out these amazing photo samples), this is another reason to love the Pixel 3. 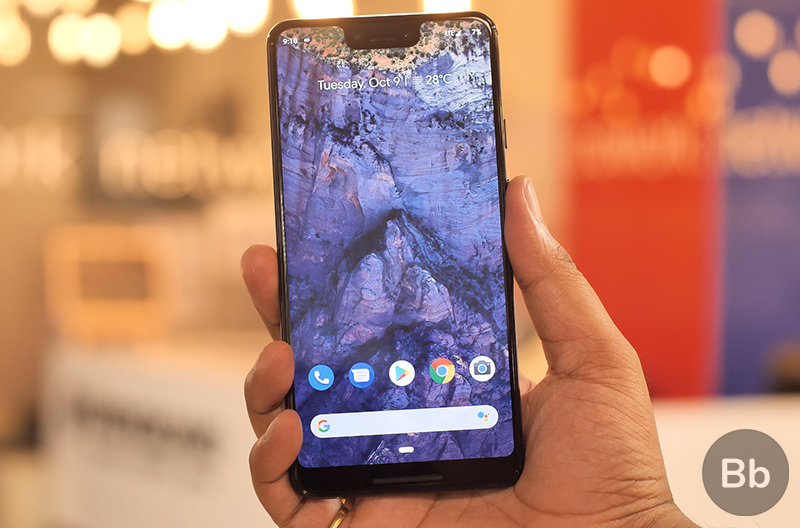 While our full review is a work in progress, you can take a gander at some of the great features that the Google flagship offers in our first impressions video.